This design was part of the original series of forty-eight designs completed by October 1931 and was also included in later reprintings. The example images were taken with different cameras and under different lighting conditions. 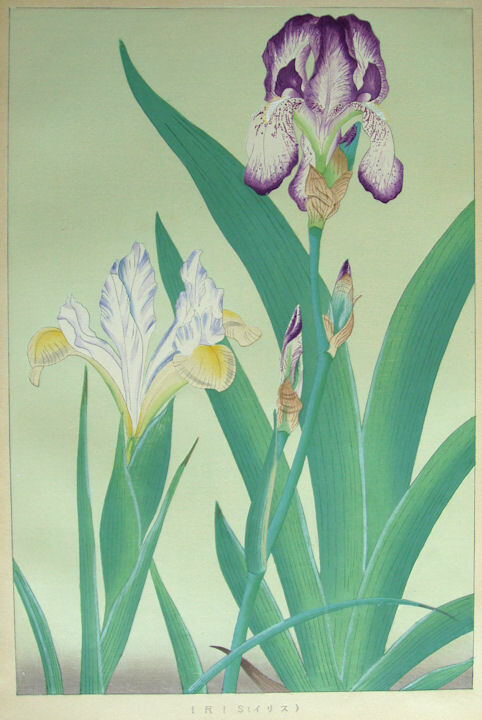 However, Version III copies typically do differ somewhat in printing technique and ink color from earlier version copies. In this instance Version I has a pale green background with medium gray bokashi at the bottom while the later version III variants have uninked backgrounds. The silhouette of wf8 is also used as the background element in a supplemental set design, wfx3. 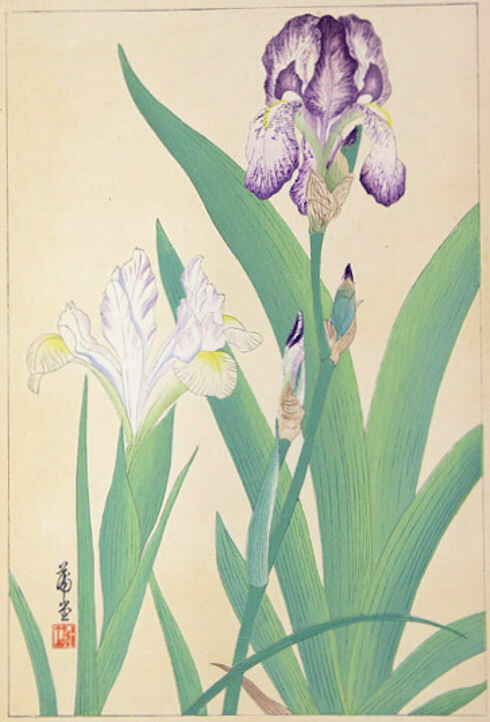 Two varieties of iris are shown, on the left is a Dutch iris type, and on the right is a large bearded iris type; both Iris hybrids. 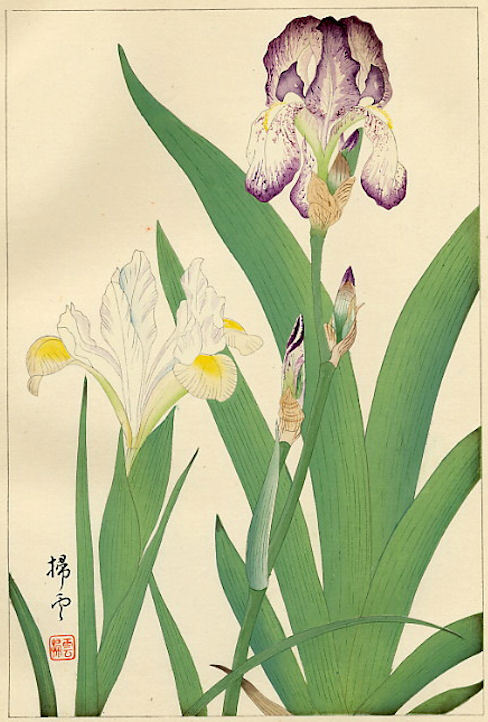 The other iris types in the primary Rakusan series are the old Japanese varieties rather than these. For additional iris designs in the primary Rakusan series see 23.